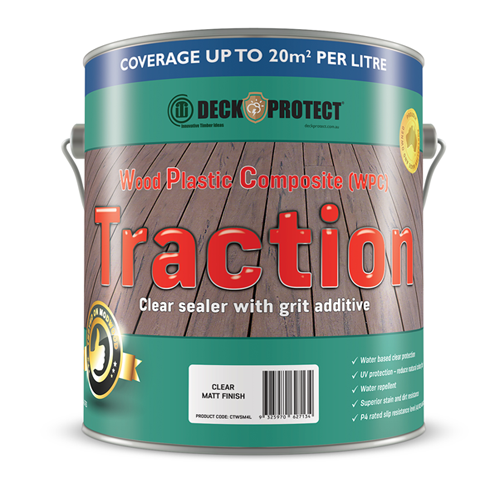 Deck Protect® WPC Traction – Sealer with grit additive is a waterborne protective treatment mixed with fine slip resistant additive for use over Wood Plastic Composite structures as a direct sealer to protect the composite or as part of a rejuvenating colour system with Deck Protect® WPC Refresh. 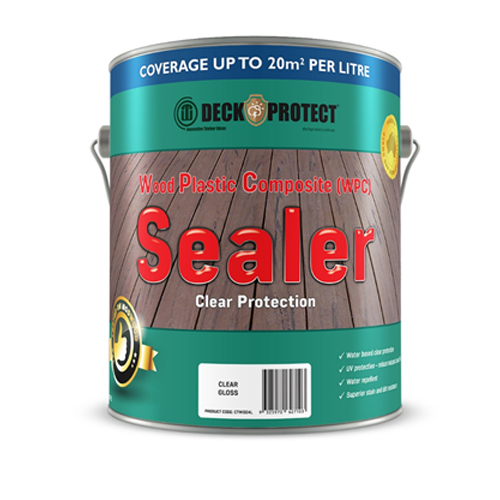 Deck Protect® WPC Traction has been designed to be applied to create a full slip resistant surface as per AS/NZS 4586-2013 for wet surfaces. The standard slip resistance level is to P4 rating for horizontal surfaces as tested by ATTAR, accreditation number 2735. With the addition of extra medium grit a full P5 for Ramps, Stairs and high volume foot traffic areas is achieved. This will have a high grip level and will be more visible. 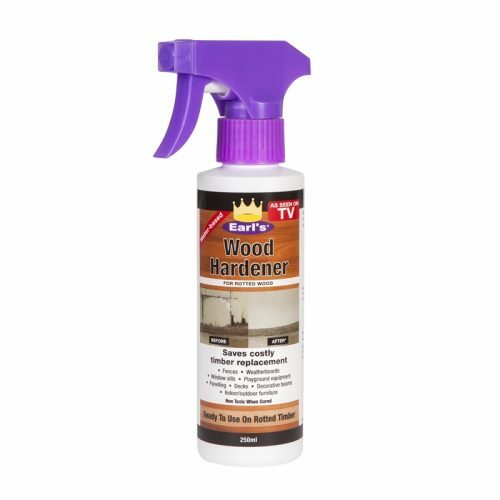 WPC Traction should be washed periodically with Deck Protect® Composite Clean to remove any surface stains to keep the Sealer looking at it’s best. 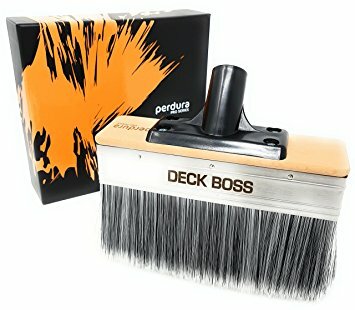 Use a soft bristle broom. 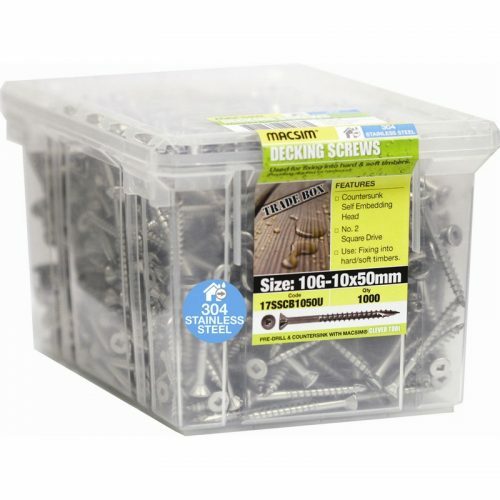 FOR USE ON – Composite decking, walkways, ramps and steps. APPLICATION – Roller (Mohair or Microfibre), Brush.